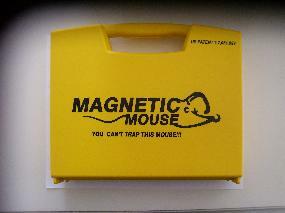 The Magnetic Mouse is a new tool used for snaking electrical wire behind sheetrocked walls. 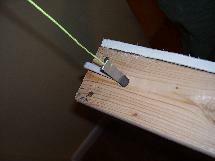 This tool assists in making the difficult and time consuming task of snaking wires more streamlined and simple. 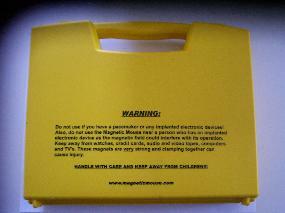 Unlike any other snaking device on the market, the product includes both a magnetic and metal tab. 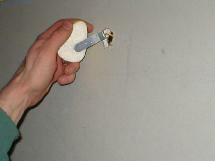 The preference of which tab to use depends on the particular snaking situation. 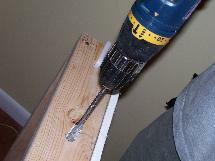 For instance, use of the metal tab will not attract a metal stud in the wall, therefore saving frustration and time. 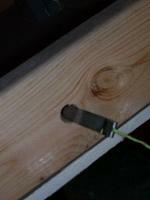 On the other hand, use of our rare earth magnetic tab provides extra strength. 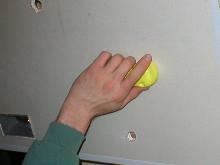 The tab is dropped down into the desired bay and a retrieval magnet is used on the outside of the wall to “capture” the tab and maneuver down the wall to the desired location. 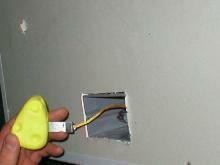 The tab is even small enough to snake to an existing box and only requires a small hole to be drilled into the wall, which is unlike any other product of its kind! 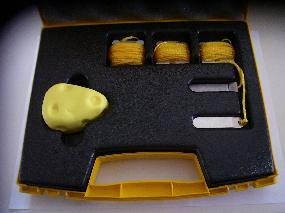 The retrieval magnet is covered with a felt pad to ensure a clean job and no scratches. 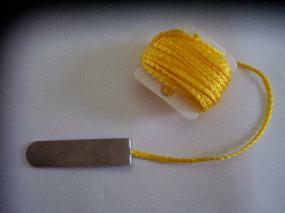 A must have for anyone who snakes wires! 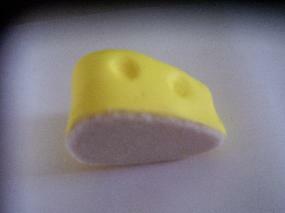 Directions included with kit.